It is a recurring popular trope, especially in some Protestant circles, to dismiss the Church Fathers on the grounds that they were “seduced” or “corrupted” by Greek philosophy and that their understanding of the faith displays the cultural milieu of the day, rather than proper biblical exegesis. Even many scholars have claimed that attempting to read the Bible as the Fathers did is fundamentally incorrect, that the Gospel is fundamentally Jewish as opposed to Greek. On the contrary, while both ancient Greeks and Jews were at times hostile to the other, both also acknowledged truth in the other’s schools of thought and each employed aspects of the other to suit their own needs. This popular idea of Jewish isolation from Hellenistic influence, even in Palestine, is an unfounded oversimplification of a very complex meeting of cultures. As historian and classicist Erich S. Gruen has noted, “‘Judaism’ and ‘Hellenism’ were neither competing systems nor incompatible concepts.” What decades of scholarship across a wide variety of disciplines have actually found is a fascinating type of ancient, inter-religious dialogue, where Jews and Greeks acknowledged the wisdom of the other, accepting and employing what fit within their own traditions, while rejecting whatever did not. These rejections may not have been the sort of respectful disagreements that people have today, but their lack of civility does not give warrant to overlook the many areas in which these two worlds overlapped. Accordingly, despite what some would like to claim, the extent of the Hellenization of Jewish life and thought by the first century AD should not be limited to the Diaspora (i.e., Jewish communities outside of Judea). In fact, some, such as historian Martin Hengel, have demonstrated the thorough infiltration of Hellenism into Palestine from the third century BC onward. By the first century AD, Greek language and culture had affected literally every level of Jewish society. Furthermore, we even find that in cases of the most extreme opposition to Hellenization, such as the Maccabees, 1 Enoch, and Ben Sira (Ecclesiasticus), there still exist elements of Greek language, culture, and thought, even in the midst of anti-Hellenist polemics. Interestingly, Hengel noted that this influence is partly due to the rise of Stoicism and the ideas of “world citizenship” and Hellenism through education. Furthermore, the Stoic appreciation for “barbarian wisdom” leads him to conclude that “in one sense the Jewish adoption of Stoic notions from Ben Sira and Aristobulus down to Philo was an oriental interpretation taken back again.” Plato may not have read Moses, as many early Christian apologists claimed, but ancient Near-Eastern ideas did influence the Greeks. They got their alphabet (and many of their deities) from the Phoenicians, and Clement of Alexandria extensively catalogued explicit references to the ancient Near-East by Greek philosophers in his Stromata. With this sort of cross-pollination taking place, we should not be surprised to find traces of Greek philosophy in many works of Second Temple Jewish literature, such as Ecclesiasticus, the Wisdom of Solomon, and the Testaments of the Twelve Patriarchs, among others, as well as the works of Philo of Alexandria, who was familiar with nearly every school of Greek philosophy and employed their concepts as exegetical tools. While it is widely held that Ben Sira, Wisdom, and other Second Temple sources have directly influenced the New Testament, there are so many parallels between the works of Philo and the New Testament that we must, at least, presume a common influence. Furthermore, the widespread use of Greek thought in the patristic period itself contributes even greater evidence in support of the use of Greek concepts as exegetical and theological tools. If this is the way that the earliest Christian interpreters understood the faith, why are some so eager to abandon it today with little reason for doing so? We simply cannot get around the possibility of Greek influence on the New Testament, giving us warrant to reexamine the usefulness of Greek philosophy for biblical studies, as well as justification for its use by the Fathers of the Church. Exegetically, it is important to note a clear contrast here. St. Paul does not criticize all philosophy. He criticizes philosophy “according to the tradition of men, according to the basic principles of the world.” By implication, then, he is okay with philosophy “according to Christ.” But what might that have been to him? This makes sense; St. John begins his Gospel with the memorable words, “In the beginning was the Logos” (John 1:1). The idea of the Logos seems to come from Heraclitus originally, but it was present in the earliest Stoic thought. By the first century AD, other schools of Greek philosophy, like the Middle Platonists, had incorporated it as well. In any case, any ancient reader of John’s Gospel would have immediately thought of this Greek idea, in addition to, no doubt, the Semitic idea of Divine Wisdom found in Proverbs 8 or Wisdom 9 and God’s speaking the world into existence through is word (another meaning of the Greek “logos”) in Genesis 1. Given that St. John claims that Jesus is the Logos “made flesh” (John 1:14), it makes sense that any school of Greek philosophy that acknowledged the divine Logos would, however imperfectly, be a philosophy “according to Christ.” Off the table? Probably Epicureanism, which was materialist, denied Providence, and was often uncharitably understood to be hedonistic. And probably Sophism too, which, according to Socrates’s uncharitable but popular characterization in Plato’s Apology, tended simply to “deceive [people] with persuasive words” (Colossians 2:4) in the guise of teaching wisdom but with the real goal of just making a money off their students. This is not to say, as I’ve already noted, that therefore every other Greek idea would be fair game. Rather, as Fr. Georges Florovsky put it, in the writings of ancient Christians, “Hellenism was, as it were, dissected by the Sword of the Spirit, was polarized and divided, and a ‘Christian Hellenism’ was created.” St. Paul exhorts us, “do not be conformed to this world, but be transformed by the renewing of your mind, that you may prove what is that good and acceptable and perfect will of God” (Romans 12:2). This kind of discernment requires the ascetic practice of watchfulness—a prayerful sifting through all the thoughts and passions that arise in our minds, continually questioning whether any given concept or conviction is truly “according to Christ.” All throughout Christian history, beginning with the New Testament, Christians have approached non-Christian philosophy in this way: positive, but not uncritical. We would do well to continue not only their positive appropriation of ancient Greek philosophy, but to use this method to appropriate even the philosophies of other peoples, places, and times, to the extent that they help us more clearly see the breadth of God’s wisdom, pursue a truly righteous and virtuous life in accordance with his will, and renew our minds through repentance and faith in his Son Jesus Christ. The foregoing is an adaptation of a section from a paper I presented in 2009 at the Claremont Philosophy of Religion conference. You can read the whole paper here. My thanks to those present for their feedback. Should Christians read the Book of Esther? What the Western Scholars miss is that the Eastern Church, while making use of the process of philosophy, stuck to what is reveal by God about Himself as to the attributes of God. What they fail to see entirely is that their whole theological framework is partly based on Anselm and Anselm did what the Eastern Fathers did not, namely used Greek pagan concepts of the divine to define the Living God. In his “Cur Deus Homo” Anselm attributed “Honor” to God, honor that was infinitely offended by sin. No where does this concept appear in Scripture and the word for honor only appears in Psalm 103?104 stating that God is clothed in honor and majesty. Nowhere does it speak of His honor being offended. Using this as a spring board tghe West led itself astray, not the East. “Then Paul and Barnabas grew bold and said, “It was necessary that the Word of God should be spoken to you first; but since you reject it, and judge yourselves unworthy of everlasting life, behold we turn to the Gentiles. For so the Lord has commanded us: ‘I have set you as a light for the Gentiles, that you should be for salvation to the ends of the earth.’” “(Acts 13:46-47; also Isaiah 49:6; Luke 2:29-32). Subsequently in turning to the gentiles (Greeks) is it not perfectly understandable that relevant aspects of Greek thought would be used? It is good to know that not all Protestants believe the Church Fathers were corrupted by Greek Philosophy. For those that do believe such things, I would venture to say that there is an obvious presupposition, that being their problem with the Orthodox Faith. So naturally they would attack the Church Fathers. If you can disprove the Fathers teachings, then the whole of Orthodoxy crumbles. These Protestants have a problem with The Fathers being influenced by the Greek culture. But isn’t much of our western civilization based on the tenants of the ancients of Greece? And wasn’t Protestantism born from western civilization, again, heavily influenced by the Greeks? Isn’t their argument basically a straw man argument? It’s absurd, because they are as much influenced by the Greeks as we are. The difference is we admittedly incorporate Greek philosophy into the fullness of The Church’s tradition, as did St. Paul, which Mr. Pahman demonstrates very well in his article. We are all being squeezed and crushed by oppresive Secularism at every turn–in our language, in our entertainment, in our workplace even for far too many for far too much of the time. Even our need to observe the Sabbath is not respected anymore in many cases. Philosophy is the best defense we will ever have against Atheist aggression and condescension towards our faith. God’s very existence is indisputably a rational conclusion based on evidence, even SCIENTIFIC evidence found in cosmology Quantum Mechanics and more. The scriptures can easily be tossed aside as “fairy tales” by a culture that’s been led to detest it by a concerted anti-Christian campaign by militant Atheists in our media and politics and education system, and by irresponsible Fundamentalists. Philosophy has what we need to defend against Atheist pseudointellectual trickery. It doesn’t get us all the way to God but it’s a needed tool in our arsenal. To sit and say that Tradition and Scripture should convince the open mind is to ignore the way people’s minds are fogged by lies. Philosophy helps cut through that fog, and is a gift from God. Very thoughtfully laid out and with a great deal of reference links. I would be very interested, if you would consider segueing into the topic of various noteworthy forms of syncretism within the branches of the church throughout history. I would especially be interested to know if you agree with me, that various constituents of NeoPlatonism and Gnosticism were highly synchronized into embryonic Catholic doctrine, to later become a recognizable constituent of reformed protestant doctrine. 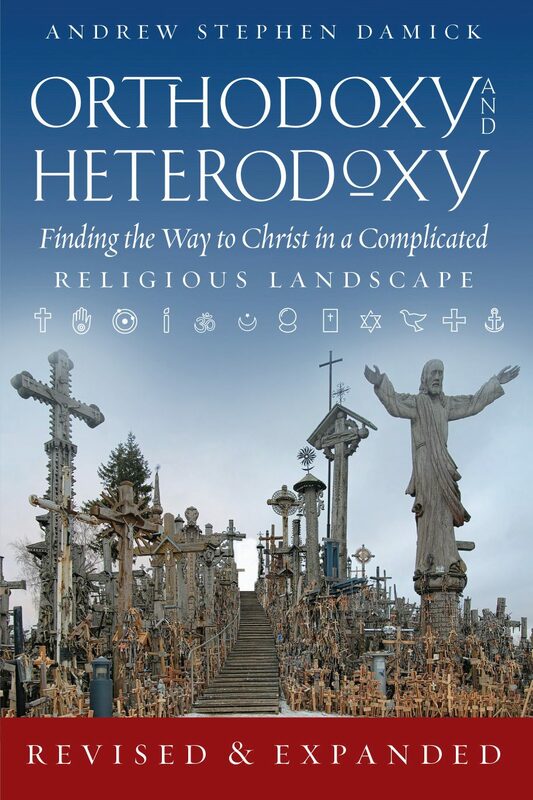 “It has often been charged… that Catholicism has been overlaid with many pagan incrustations. Hard to say. When I think of syncretism, I think of a church with a side altar to Baal or Apollo or something. Such a thing is rare, but not unheard of, especially in very tribal cultures that have not fully embraced Christianity. As for baptizing myths and ideas, well that seems universal. The vita of St. Brigid, for example, likely includes — or more accurately co-opts — images once associated with the Celtic goddess Brigid. I don’t think there is anything wrong with that. Part of the doctrine of the Logos, going at least back to St. Justin Martyr, is that the seeds of the Logos can be found in all cultures. He is the Light that enlightens all men (cf. John 1:9). The Church should help, and historically has helped, people incorporate what is not opposed to the Gospel in their own cultures into their own adoption and expression of the faith. As far as Gnosticism in particular is concerned, the Church — East and West — pretty clearly rejected it. Actually, it is more historically accurate to say that the Gnostics first rejected the Church, purposefully setting up rival communities. There are at least three general schools of ancient Gnosticism: Valentinian, Marcionite, and Basilidean. I don’t think it would be very fair or accurate to think of Roman Catholicism or Protestantism (in general, at least) as incorporating much of their teachings. Furthermore, it is important to remember that there has always been an alternative Christian teaching about gnosis that developed alongside and in response to the Gnostics, so not every mention of it should be assumed to be “syncretism.” Clement of Alexandria, in fact, occasionally spoke of Christians as gnostics, but he did not deny the incarnation or the identity of God the Father as Creator or the goodness of the material world, for example. His “gnostic” would have been rejected by the ancient Gnostics. Some of these comments show an utter disregard for others. That is not the Orthodox Way. Where is the humility and self-emptying concern for the salvation of others? At least get out your defensive posturing long-enough to realize not everyone who critiques you is your enemy. Make an effort to listen sympathetically to each person you are talking to. If you are going to smugly trivialize your critics, then don’t be surprised if you are written off as just one more religious idiot in a long proud, smug line of line of cassock-clade idiots. I’m making the journey into Orthodoxy and I haven’t admit that the mental gymnastics that I have to do to “make sense” of the Trinity makes me feel as if the whole thing is forced and foisted onto the scriptures. So, the idea that this was imported into the church from the Greeks doesn’t seem like such a stretch to me. Lossky, Ware, and Behr haven’t been sufficient to rid me of that sense either. I’m not sure precisely what you’re referring to regarding trivializing critics. I took the time to write a response to a common misconception about the Scriptures, the Fathers, and Greek philosophy precisely because I first took the time to listen to those who espouse that misconception. If I had no concern for those with whom I disagree, I wouldn’t have written an essay trying to convince them otherwise. As for the doctrine of the Trinity, I’m unsure what about it requires mental gymnastics, and in fact understanding the originally Greek concepts the Fathers adapted to help explain what is revealed in Scripture about the Father, Son, and Holy Spirit profoundly clarified it for me personally. Acknowledging that a Greek idea may be true doesn’t necessarily mean it is somehow alien to the Scriptures. That, in fact, is the whole point of my essay. 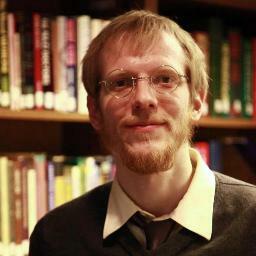 There are Greek ideas within the Scriptures and within contemporary Jewish thought from the same time period. 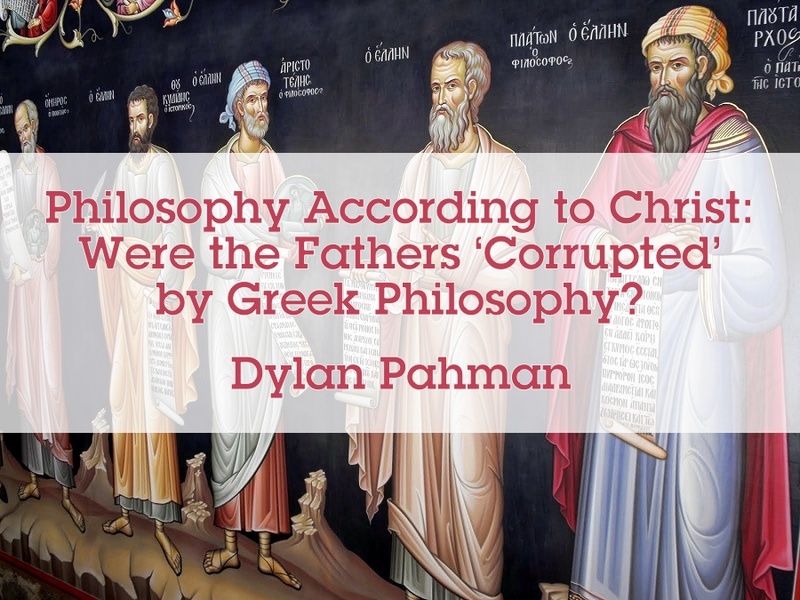 So why should it matter if the Fathers adapted some Greek ideas to help explain the faith? It is an eminently Christian thing to do. What should matter is whether those concepts make the truth clearer and help to guard against error. In my experience, they do both, thus underscoring what a shame it is neglect them. Define “trope”. Because “trope” is used synonymously with “cliche”. I don’t think it’s fair to group them together and then declare their behavior “cliche”. And just because you make sense doesn’t say ANYTHING about the truth content. You can create coherence all day long and then equivocate between that coherent structure and truth…but it never makes it true. And, again, the terms and grammar used in the Trinitarian formulation derives from Neoplatonism. That something makes sense to you and that you have psychological certainty regarding that sense has no epistemic force for anyone else. I don’t want to debate the Trinity. I’m trying to be honest. The reason so many 2nd and 3rd century Christians weren’t Trinitarian is because it doesn’t add up from a rational view point. For example, if I were to encounter conjoined triplets (call them Bob, Rob, and Rob) I would see three persons and one shared “human nature”, or body. (I know a metaphysical distinction can be made between body and nature.) If someone asked “How many human beings are there?” My answer would not be “There is only one because there is only one nature that is shared between the three.” To say that would be offensive to the persohood of each one. No, there are three human beings because it is the humanity of each person that counts. That is how I understand the Trinity. Each person of the Trinity is fully God. Therefore, there are three gods. Redirecting my attention back to a “shared nature” seems to miss the point or appears as intellectual sophistry. Trope isn’t a synonym for cliche. Rather, a trope is a figurative or metaphorical use of a word, often with the implication that it is a kind of standard, repeated usage. People will sometimes say that something is “just a trope,” implying that it may well be a cliche, as well, but that’s not what trope means in itself. Tropes are a standard literary device, found in prose and poetry alike (though far more often in the latter). Right. By trope I meant a standby or staple, not necessarily a cliche in the negative sense (although I do think this one is wrong). As Fr. Andrew notes, “trope” can be used that way, but I would add it can also mean simply “a common theme or device,” which is how I used it here. The scholars I cited are well-respected in their fields; I have no intention of being unfair to them. Again, I wouldn’t write an essay interacting with their common claim if I didn’t think they were worth my time and effort. They have commonly claimed or even assumed that the Church Fathers were “seduced” or “corrupted” by Greek philosophy. This essay argues that, on biblical and historical grounds, that trope is mistaken. “In the beginning was the Memra” (John 1:1). Besides, the whole article ignores the fact that Jesus’ (Yeshua’s) entire message to His generation was a repeat of the historic prophetic call to “come out of Babylon/Egypt” adapted to His generation which was a condemnation of the Hellenised Sanhedrin and a call to “come out of Greece” (and thus all things Greek – including rejection of both Greek culture and even the Greek language itself. In short, it was a call to re-Hebraising for his faithful follower-converts. and in the field of hbermeneutics use PaRDeS as tne sole tool to unlock scripture. Using the imagery of Daniel, His m ovement – the “Way” – was to be that “stone” that destroyed all from Babylon to Greece/Rome. The Arimathean / Aramaic Church in Israel, together with its affiliates in both the British Isles and in the India of St Thomas were obedient to this call. Paul defied this call and wrote all his works in Greek – thus creating the foundation of Greek Patristic tradition. Paul’s “traditon” did a ‘friendly-merger’ with the still-pagan Roman Empire under Constantine, and the rest is history. The merged “church” used the pagan Roman spear and sword to enforce a Hellenising and a Romanising of the merged “church”- thus the “accepted” Greek and Latin “Fathers”.. This Contantinian “church” also invented the concept of “apostolic succession”- and thus its retrospective rewriting of CHurch history – to justify its departures from the Hebrew/Jewish Church in Jerusalem. The Greek “Fathers” used both Allegory (from Ptolemy’s Egypt) and Symbolism (from the Seleucid Antioch) as their principal tools in their attempts to unlock all non-Pauline literature in the Bible. Doing that with Hebrew and Aramaic literature is guaranteed to deliver a misleading result That is why a contemporary exegesis using PaRDeS on the Hebrew / Aramaic original and independent from both the Greek lan guage itself and all Greek Patristic Literature is guaranteed to deliver a more accurate and suoperior result. Allegory was designed to make sense of the myths of Mt Olympus and Mt Parnassus, and such Oradles as at Delphi. The results each time were often wildly divergent. it was never designed for use on Hebrew sacred literature and cannot be so used without delivering a misleadin g result. Symbolism was designed to “interpret” all the liturgical minutae from the Greek pagan temples and Greek pagan worship. It was close to blasphemy to use it to try make sense of Yahweh’s worship – as well as Yahweh’s sacred literature. I am grateful for this post. And this is what we see, in post Apostolic history. A church that will burn a mother to the stake for teaching her children the Lord’s prayer. A church that will burn Servetus alive for not kissing the ring of a religious dictator. Anyway, there is a difference between syncretism (altering the faith in order to bring in foreign elements) and using what is at hand in order to explain the unchanging faith. The problem of not being able to tell the difference between syncretism and traditional Christian use of cultural and philosophical elements in service of Christianity comes when attempting to reconstruct the meaning of the Scripture after two millennia with nothing but your own private reason and sensibilities. A much better approach would be to ask what the people who first received the Gospel had to say about how they understood it. They certainly didn’t think of what they were doing as syncretism. If, as John B. says above, even Paul (who was accepted by the Twelve and chosen by Christ Himself) is to be rejected, well, there really isn’t a Christianity to speak of, because the authority of those who approved of him is false. He even suggests that the Apostle John gets it wrong, too, when he writes of the Logos. If we can’t trust these men and those with them, well, why should we trust what anyone says about Jesus? It’s just a guessing game. With due respect Fr Andrew, the Apostle John DID get it correct when he said Ïn the beginning was the Memra”. It was the corrupting translators of his Gospel into Greek that inserted the insidiously subversive “Logos”in place of the Memra in order to deceptively Hellenise John, when in fact, John is the most Hebraic writer in all the NT. This false narrative abouth the “Hellenist John” has only been correctively reversed after WW2 in the West in the wake of the Shoah, but sadly, not in the Orthodox East. What we are facing, indeed have to face is the fact that all non Pauline literature in the “accepted” NT was written in Aramaic, and not in Greek as the Pauline-Constantinian church so falsely asserts. And had the All-Jewish, Hebraic Church in Jerusalem been responsible for the assembly of the NT, Paul would never have made the cut. And we would have seen, inter alia, the Protevangelium of James, the Gospels of Thomas and Philip and the Gospel of Mary Magdalene (then in its full text) included instead. And Hebrews would have been far smaller – without the Pauline interpolations of 4:14-16, Chapters 5 to 8 passim and 13:23, 24 included in the “received” text of Hebrews – inserted to “justify” Paul’s inventions of the Office of Bishop and Priest. Until then, the surrounding pagans accused Paul of novelty in his teachings, with his anti-Torah, anti-Judaism teachings. Pauline interpolations into Hebrews was a deliberate attempt to throw off this charge of novelty. Matthew would not have had the Pauline interpolations in 16:18, 19 to give Peter an authority he never had (that belonged to James and John) so that the second interpolation in 2 Peter 3:15 “as is our beloved brother Paul, according to the wisdom given to him, has written to you” (NKJV) would be made to give the misleading impression that by the time 2 Peter was written, this “our brother” situation was still the case when it was not. Did Christ call Paul? Yes, on the road to Damascus, but like Baalam eventually did, Paul turned aside from Yeshua’s “Way” so much so that the Jerusalem Church refused to recognise him as a “brother” after Acts 21:26 and his manifest rejection of the Acts 15 Council, and left him alone to his own devices as not being one of them thereafter. He was never “approved-of” by the Jerusalem Church, in the manner that you would suggest, he was merely tolerated. That tolerance evaporated after Acts 21:26, and they and their subsequent generations refused to recognise Paul’s “church” as having anything in common – including “apostolic descent” (or “succession”) – with them. Marcion gave that game away by only including Paul in his “NT Canon”. The Hellenised gentile “church”in the East refused to fully repudiate Marcion, and ultimately – as in Athanasius – doing a “merger” between a slightly tweaked Marcionite “canon” – with a significantly reduced all-Jewish Arimathean Canon of Jerusalem to form the “received NT” of today. Academic and historical integrity demands that we accept this as fact, no matter how subversive of our mos dearly-held personal and corporate presuppositions it may be..
I’m not a specialist competent in these questions, but the ones I’ve consulted on this assure me that the scholarly consensus is that the canonical NT was composed entirely in Greek. Even the existence of an Aramaic Matthew was likely in parallel with a Greek one (since it’s solidly native Greek). As for the rest of your narrative about Paul, etc. — forgive me, but I just can’t take it seriously. Why? Because it’s literally your word against 2000 years of Orthodox (and Catholic and, for some definition, Protestant) tradition and history. This is one of those things that almost all Christians everywhere have seen basically the same way: Paul was indeed the Apostle to the Gentiles, chosen by Christ and joined fully to the Twelve in their life and teachings. He is not an outlier but is completely of the same faith. I’m wondering if what is entailed in this line of reasoning, is that the N.T. text was subverted. And that “a certain few” know what text is “kata pneumatos”, and the rest of the Christian fold don’t. I’m not exactly sure, but if that is what is being said, I can see a slippery slope unfolding which looks somewhat like Dan Brown’s Da Vinci Code. Is there in fact any primary source indication that John wrote in Aramaic and not in Greek? As for the rest of this, it really begs this question: If the generation immediately receiving the faith from the Apostles and even Paul himself got Christianity wrong, then why should we believe what anyone says about Jesus? Really excellent and well-formulated treatment, Dylan, thanks.